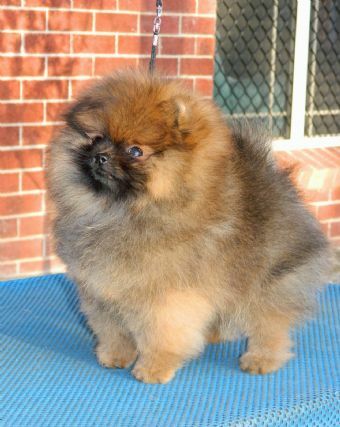 Prince was shown in Australia as a juvenile with some early success with us winning Best Puppy in Specialty Show. He was then shown by Rhiannon Walsh to attain his Australian Champion title in August 2015 with a Best in Group and Runner Up in Group on the way. 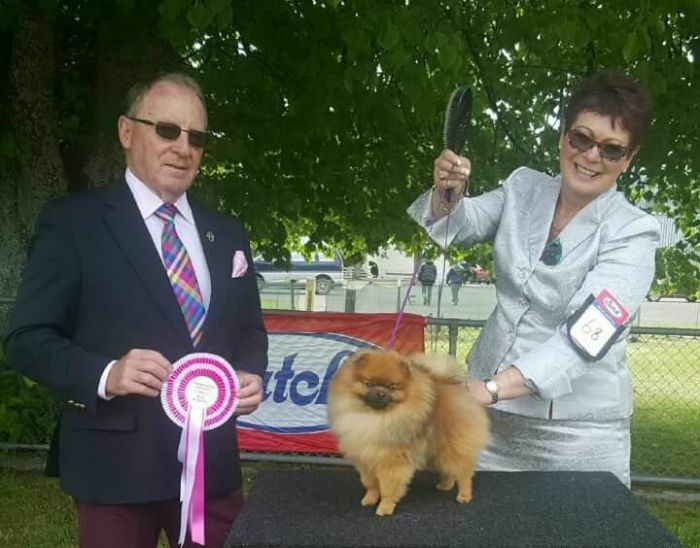 Prince went to his new owner Ruth Hennessey in New Zealand in October 2105 and he met with immediate success winning Runner Up Best in Specialty Show then the following weekend a Best in Group! 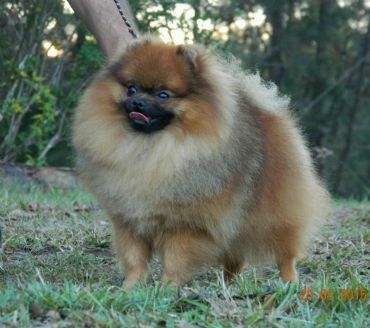 Prince attained his NZ CH title in just a month of showing and then the next day he comes out and celebrates by winning an All Breeds BEST IN SHOW!! Prince has had a lot of ongoing success including a special BISS win at the Pomeranian Club of NZ for the second time when his champion daughter was RUBISS to him. On winning a third BISS he became the first ever Specialist Grand Champion for the breed in NZ. We are so pleased he has been successful for Ruth and wish her ongoing success with Prince.